My jewelry box was getting out of control and I could never find what I was looking for. 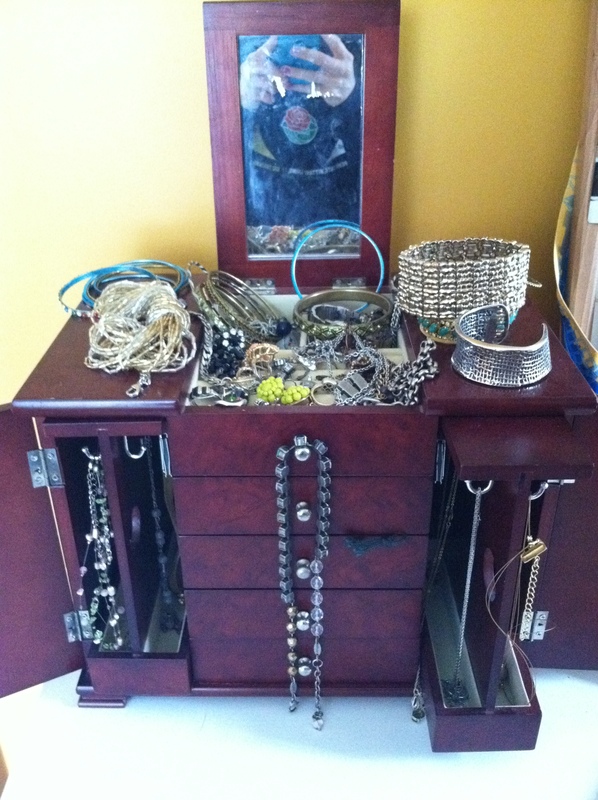 So I came up with a way to neatly display my favorite pieces and clear up space on my desk where my jewelry box sat. 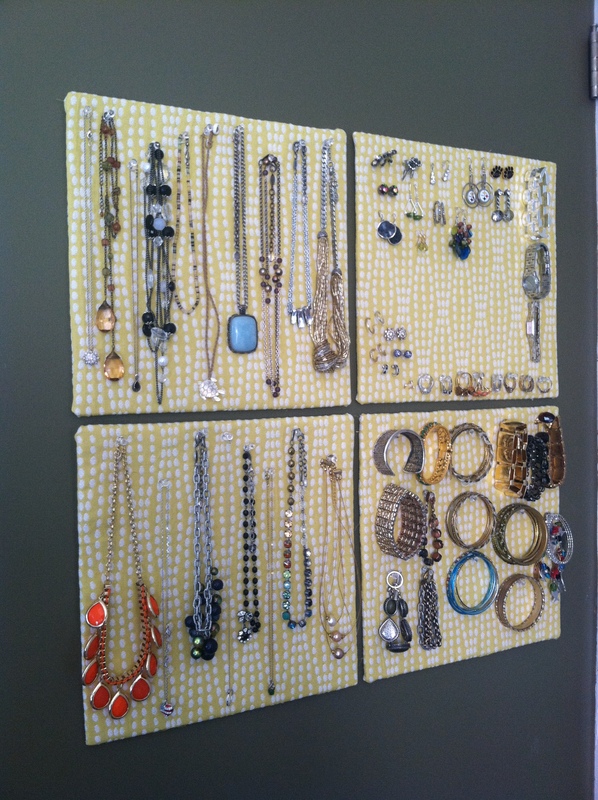 I used is some left over fabric and cork board squares I found at Target that were about $6 for four. 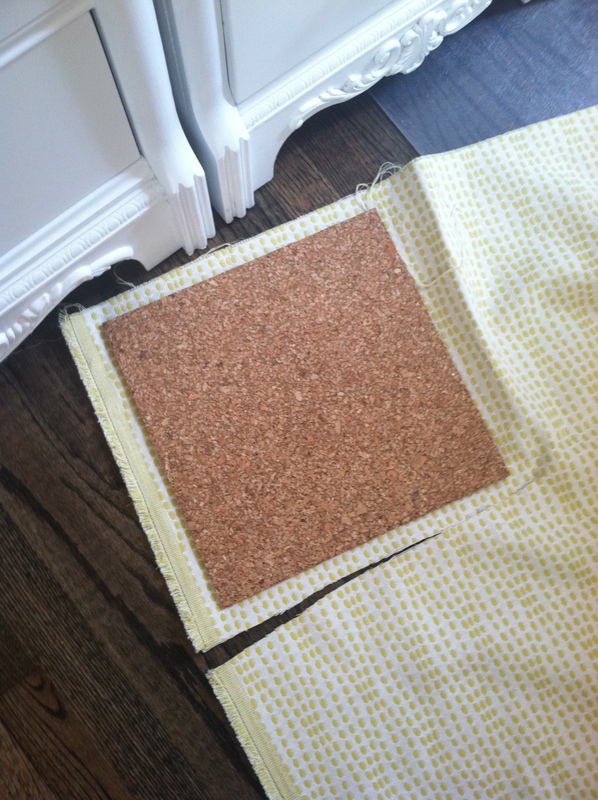 I cut the fabric into squares about an inch larger on each side than the cork square. I stapled the fabric to the cork, wrapping it around the edges. 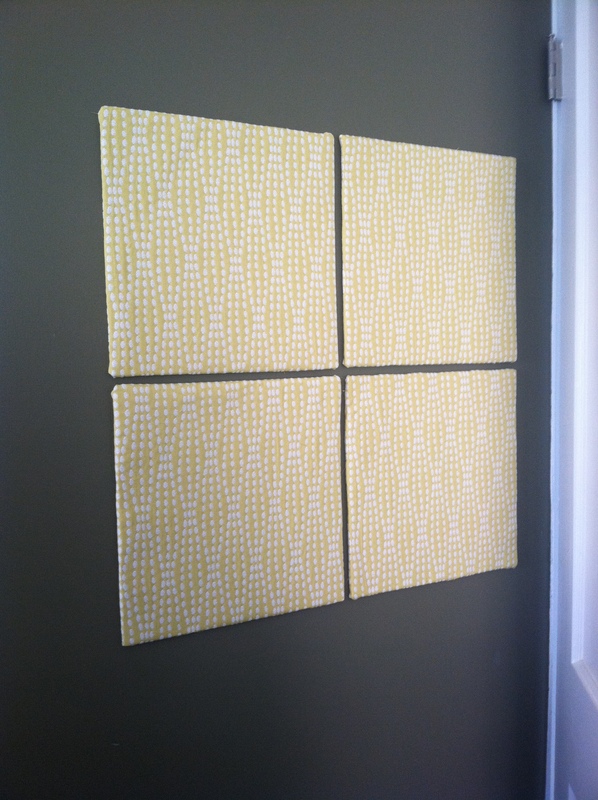 I attached the squares to the wall with double-sided adhesive tape. (No holes in the wall and easy to remove!) I hung it behind my bedroom door so it is out of the way, yet easy to access. 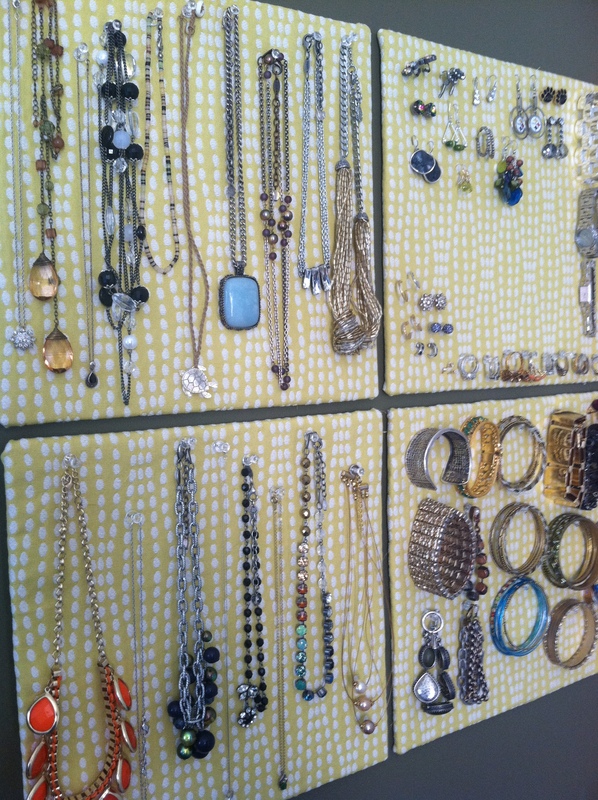 Then I used clear thumb tacks to hang my necklaces, rings, and bracelets. The earrings hang by themselves, just by sticking them into the cork. The entire project took about 20 minutes. 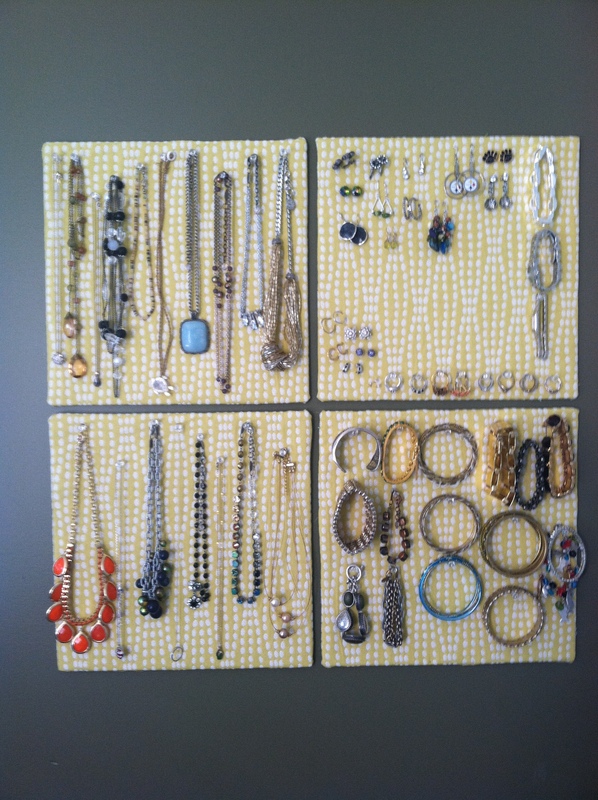 Now I can see every piece that I love and it forces me to keep my jewelry organized!